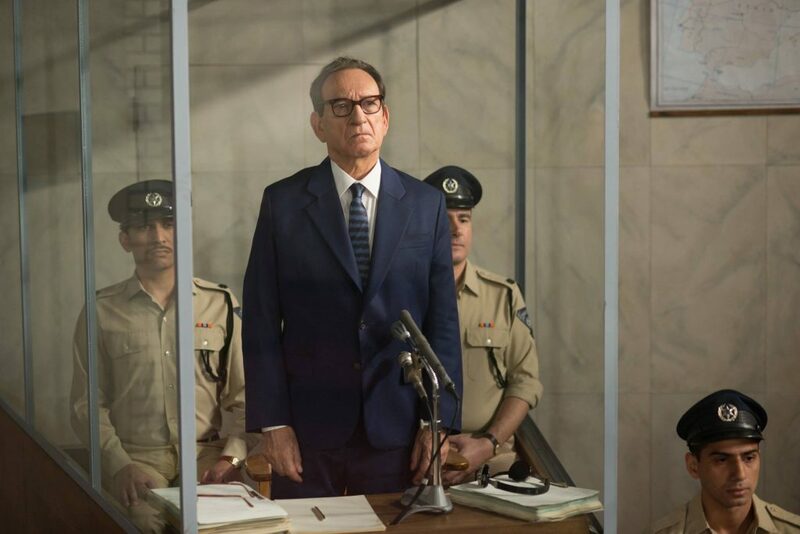 Aaron Neuwirth reviews Operation Finale, a spy thriller based on a true story but never rises above the occasion to be more interesting. 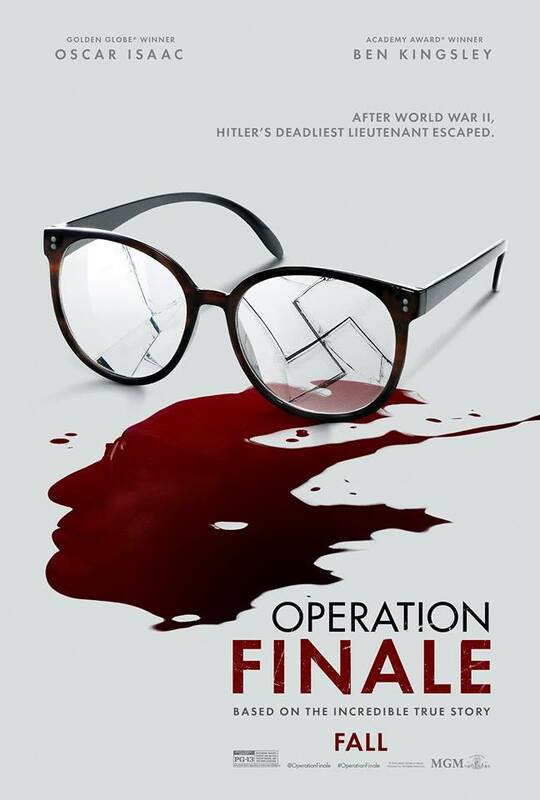 In the same way that most shark films pale in comparison to Jaws, Operation Finale ends up as another film that comes nowhere near matching up to Munich, as far as movies about Jews getting vengeance goes. Fitting that Steven Spielberg is responsible for both top-tier examples and perhaps it’s not fair to compare the efforts of director Chris Weitz to the master craftsmen. 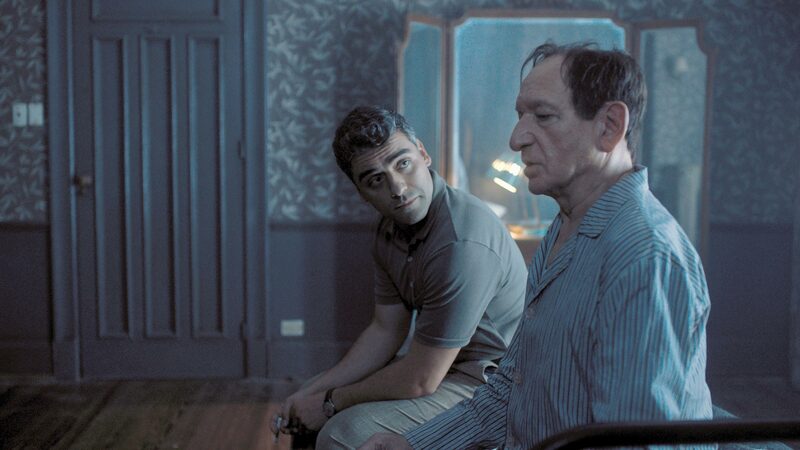 At the same time, while Operation Finale is a thriller that may not need to reach certain heights, it could have been a film that felt like more than just a satisfactory dramatization of a true-to-life incident, with lots of extra padding. The film stars Oscar Isaac as Peter Malkin, an Israeli spy for Mossad, who has been tasked to track down and capture Adolf Eichmann (Ben Kingsley), the man known as one of the primary organizers of the Holocaust. With new information suggesting Eichmann is living in Argentina, Malkin and a team of fellow agents put together a mission that should result in bringing Eichmann back to Jerusalem, where he will be placed on trial for his crimes. 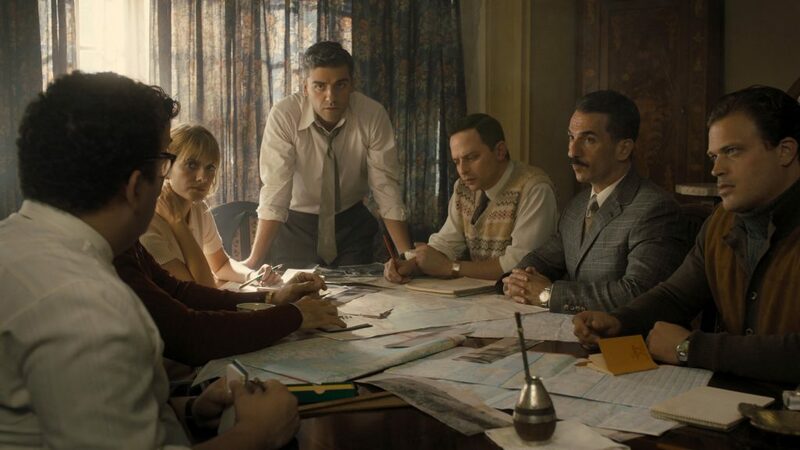 Much like the (overlooked) 7 Days in Entebbe from earlier this year, Operation Finale is not the first film to take on this story about Jews in a perilous position, but it feels less accomplished and less interesting. 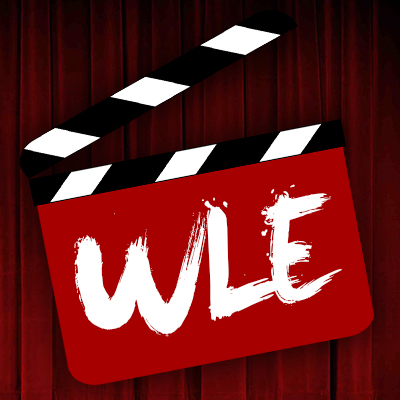 As much as it is nice to see good actors do what they can to convey the emotion that comes with addressing an event in history that could both be thrilling and cathartic for various reasons, little is done to make this effort rise to that challenge. Instead, the film tries to milk as much as it can out of a reasonably standard caper plot, only to head into another path that involves direct interaction between a Nazi and his captor for a sizable portion of the film. Neither Isaac or Kingsley feel out of their depth, as they are both some of best actors of their generations, but the screenplay by Matthew Orton and the direction from Weitz ends up delivering contrived situations and an awkward tone in an effort to balance the struggles of a heist-like situation and a mature drama that involves a monster suddenly being made human. Given that much of the film focuses on Malkin and Eichmann in a small room, providing details about who they are to each other, it would be great to know the movie is attempting to get at something more nuanced. Instead, we are saddled with the heavy-handedness of one man shaving his enemy’s neck with a straight razor. Speaking of the actors, there’s an assembly of talent here that simply feel out of place. Isaac is tasked with playing things so straight and narrow, that a crucial decision towards the end of the film falls flat thanks to a lack of any understanding of what, if any, repercussions there could be. Melanie Laurent is one of the agents that join the mission, as she is a medical professional, only to be given the lame role of an ex-girlfriend who may still have feelings for Malkin. Nick Kroll is along for the ride as well, and while the comedic performer doesn’t need to be funny, he also found himself better suited to another drama last year (Loving), which at least provided him a reason to exist. Other actors are even less of a presence, such as Haley Lu Richardson, whose role is perhaps the most complex, yet given the least screentime. 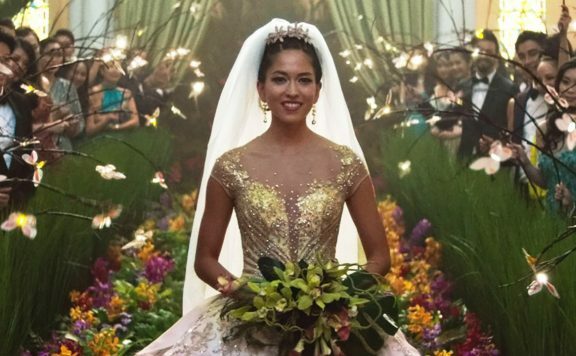 Having mostly directed romantic comedies and big YA adaptations, Weitz, while commendable for taking on a different type of project, seems to be at a loss for what he wants with this film. There are some attempts to make things lively when it comes to scheming away for the sake of capturing Eichmann. Later, the film settles for a somber mood, once Eichmann is forced to be held in captivity for a more extended amount of time than expected. Then the film finds its way to chasing after Argo in intensity, regardless of the invented history found in both features. That in mind, Operation Finale hardly contains anything that amounts to real tension, which has less to do with knowing the real story ahead of time than it does with putting together a well-assembled feature. At least Alexandre Desplat contributes a winning score; it just belongs in a more intriguing picture. To the film’s credit, I can admire the choice to let most of the leads retain their natural accents. If everyone is going to speak English, it serves no purpose to have them put on some sort of guise. It also means Kingsley does not have to chew up the scenery as a reflective German Nazi, seeking to put a mask over his crimes. I can’t say Kinglsey turns this role into one of his better efforts either, but there’s an appreciated sense of a professional doing the work to make the most out of his performance. Whether or not there was an urgent need to revisit this story, Operation Finale ends up feeling more like a film that reassures how past actions received some (very) small amounts of justice, rather than making a more substantial case for what has come since. With a couple of lines of text summing up what happened in real life, it became harder and harder to see this film as anything more than escapist fare that happened to be based on an idealistic version of a previous reality. Everyone may have shown up for the mission, but this operation was from successful.